**THIS ITEM IS CURRENTLY ON BACKORDER. 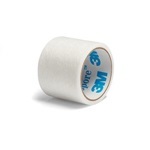 ** 3M Micropore paper tape measures 1 inch x 10 yards. 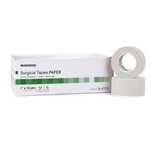 White non-sterile medical tape that is hypoallergenic and skin friendly. Manufactured by 3M. Comes 12 rolls per box. 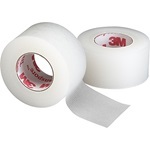 3M Micropore paper tape measures 2 inches x 10 yards. 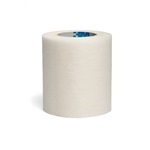 White non-sterile medical tape that is hypoallergenic and breathable. Manufactured by 3M. Comes 6 rolls per box. McKesson paper tape measures 1 inch x 10 yards. 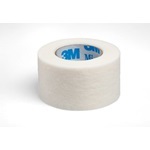 White non-sterile medical tape that is hypoallergenic and air and moisture permeable. Manufactured by McKesson. Comes 12 rolls per box. McKesson plastic tape measures 1 inch x 10 yards. 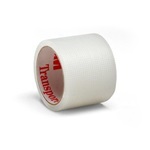 Transparent non-sterile medical tape that is hypoallergenic as well as air and moisture permeable. Manufactured by McKesson. Comes 12 rolls per box. **THIS ITEM IS CURRENTLY ON BACKORDER. ** 3M Transpore plastic tape measures 0.5 inch x 10 yards. Transparent non-sterile medical tape that is perforated for easy tears and water resistant. Manufactured by 3M. Comes 24 rolls per box. 3M Transpore plastic tape measures 1 inch x 1.5 yards. Transparent non-sterile medical tape that is perforated for easy tears and water resistant. Manufactured by 3M. Comes 100 rolls per box. 3M Transpore plastic tape measures 1 inch x 10 yards. 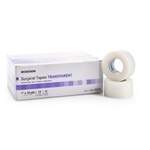 Transparent non-sterile medical tape that is perforated for easy tears and water resistant. Manufactured by 3M. Comes 12 rolls per box.